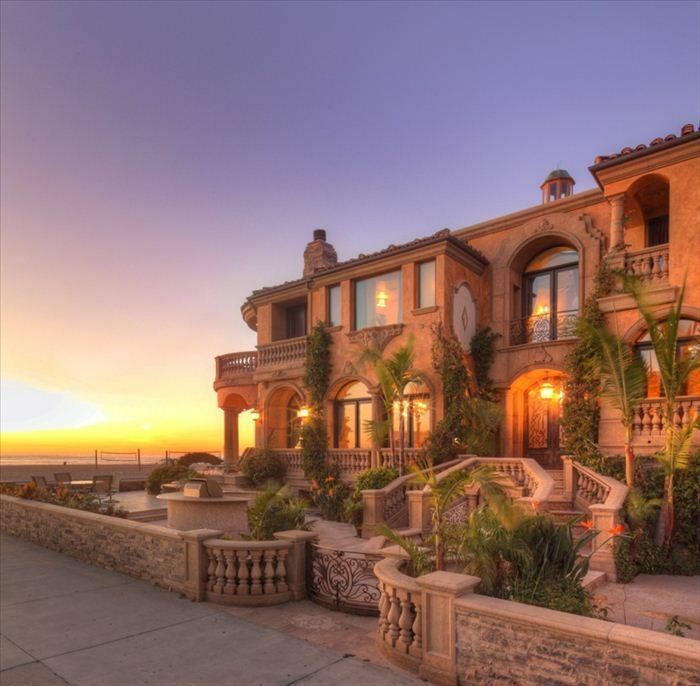 This unbelievable five bedroom, four and a half bath home has some of the most spectacular panoramic ocean views that will leave you breathless. A dramatic circular staircase with gorgeous chandelier and painted ceiling and sides welcome you into an open floor plan with stunning ocean views from kitchen, dining and living room. Three fabulous balconies offer you a wonderful outdoor area great for entertaining and enjoying the sunsets. Beautiful marble and granite are offered throughout the home with amazing walnut hardwood floors. -Please be respectful of the neighbors and do not disturb them. My name is Ashley and I am the owners daughter. I help manage this home as well as one bedroom suites and waterfront homes in Miami Beach, FL. I grew up in the beautiful Redondo Beach, then Hermosa Beach, then to Monterey Bay where I received my Degree in Business at the Cal State. The owner grew up in New York but came out to California where he has been residing and building houses for the last 30 years throughout the South Bay. My father built this home and I lived here for a few years before leaving for college. I got to experience all the features this home has to offer. Being able to wake up to the waves crashing, run on the beach, play volleyball, bike ride to the pier, family bbq's, you can't beat the location and home. Hermosa Beach is not too far from the bigger attractions as well such as Disneyland, Knott's Berry Farm, Six Flags (my favorite), Hollywood, hiking in Palos Verdes, etc, there is just so much to do in this area and full of active people all around you. With all the exquisite fine touches in this home has you feel like royalty! I celebrated my 40th birthday with family and friends at this gorgeous beachside home. The outdoor area was a perfect spot to gather for beachside drinks and to people-watch. The easy access to the beach was phenomenal, and very family friendly. It was a perfect weekend, and everything about this rental was turnkey and easy. Highly recommended! AMAZING property AMAZING location right on the beach. Everything we expected and then some. This home is everything and more than the listing describes. It is right on the beach and strand and short walk to downtown hermosa. Mickeys deli right next door has everything you can possibly think of. The home is beyond beautiful and spacious and very clean. If you want to stay in a truly luxurious home this is the place. We were 2 families traveling together and there was more than enough room for the 8 of us. The owners were great to work with, everything went very smoothly. I was a bit concerned about the amount of the security deposit, but after seeing the home I was surprised it wasn't more. The security deposit was sent back to me within days after we arrived home. We all loved this home and everything Hermosa Beach has to offer. I would highly recommend this property to anyone who is looking for luxury on the beach, the outside of the home is just as beautiful as the inside. Thank you Nicole. -Event fee for weddings, etc. with more than 50 people may be $10,000. -Events this large will require a refundable security deposit of $10,000. -Groups with over 12 people are considered an event and will have an extra charge. -Rates subject to change during holidays. -Until payment has been received in full, property is not 100% confirmed. -Rates are set for 2 family/12 people max.